True Dungeon starts the 2019 season with the release of two brand new adventures -- "E1 - Abyssal Swamp" and "E2 - Path of Death" premiering at Origins Game Fair in June in Columbus, OH. 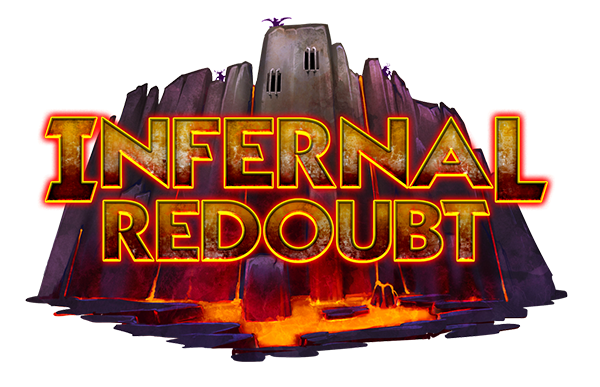 We will present these two adventures PLUS "E3 - Infernal Redoubt" at Gen Con in August in Indianapolis, IN. See links at side menu for more details. Experience Points gained during the 2019-2020 adventuring season can be earned only once from each of these three new Evil Lands (E-series) adventures regardless of where they are played. For example, a player will only get XP credit for the furthest room they reach during multiple runs of the E1 module even if they play E1 at more than one convention. Thank you for your amazing support of our event over the past 16 years. Your funding has allowed us to continually enhance the quality of True Dungeon, and we look forward to the big leap in immersiveness we will see this coming adventuring season.